Compensation for treatment and work-loss due to pre-existing conditions may be available under Massachusetts worker compensation statutes – but only if it can be proven that the condition was substantially worsened or aggravated as a result of a work accident or activity. Workplace accident attorneys in Boston know that the key is establishing that one’s occupation was a major contributing cause of a pre-existing condition’s progression. Such will be required in order to receive an award of benefits. That means it has to be over 50 percent of the cause. This is a higher burden of proof than what a worker would face if there was no pre-exsting condition, which requires only that a worker prove the workplace accident or activity was a material cause of injury. In the recent case of Frith v. WSI, in North Dakota, that burden was not met and resulted in the denial of benefits. Although the claim was unsuccessful, by understanding what went wrong, we better prepare. Here, the worker filed a workers’ compensation claim in September 2010, alleging that a few weeks earlier he had suffered a back injury while moving a large desk up a flight of stairs. The claim was denied on the grounds that he has not proven his condition was causally related to work. Specifically, he had a well-documented pre-existing spine condition, and had failed to prove that the condition was substantially worsened as a result of work activities. 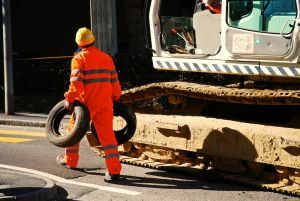 At a hearing held at the plaintiff’s request, a physician testified he did not believe the disk bulge in the worker’s spine was the result of a work injury, but rather part of the natural progression of a degenerative condition with which he’d already been diagnosed. The doctor pointed out that the patient had reported major back pain in his hip and leg before he ever began working at the company. The commission overseeing workers’ compensation benefits denied the claim, and the administrative law judge affirmed. Upon review by the state’s supreme court, the decision was once again affirmed. The court determined that while the injury did occur and may have resulted in some aggravation of his pre-existing lumbar condition, the greater weight of evidence seemed to suggest that it hadn’t resulted in a substantial worsening. The standard for what constitutes as substantial may vary from state-to-state. These cases are almost always more complex than others, so it’s important to secure legal representation from a firm that has extensive experience and proven success.